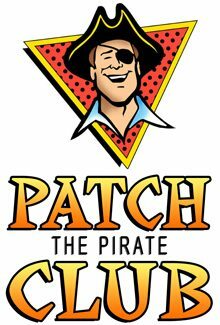 Gospel Baptist Church is proud to present both Patch the Pirate and Pee Wee Clubs. They are world-wide ministries designed especially for elementary-aged children. It is used in schools, churches, home-schools and has been delivered by radio broadcasts since 1984. Both Clubs were founded by Ron "Patch" Hamilton, who is a popular Christian singer, songwriter, composer, evangelist, and personality. We offer this program to children in grades one through six to help them grow spiritually and musically. The curriculum spans nine months and runs concurrently with their normal school year. The Patch club curriculum includes Bible Lessons, “Sailor” devotions, Scripture memory, Bible activities, music lessons, along with Godly character stories and songs that teach Godly-character traits. The PeeWee Club is an adjunct to the Patch Club and was developed for children ages four through six. Both clubs meet Wednesday evenings at 7:00 p.m. They begin in September and end in May. For more information contact the church by calling 330-757-0736, or click the button below.